Good literature is a pleasure to read aloud. The words roll off the tongue and provide a wonderful opportunity for children to hear the English language used artistically. 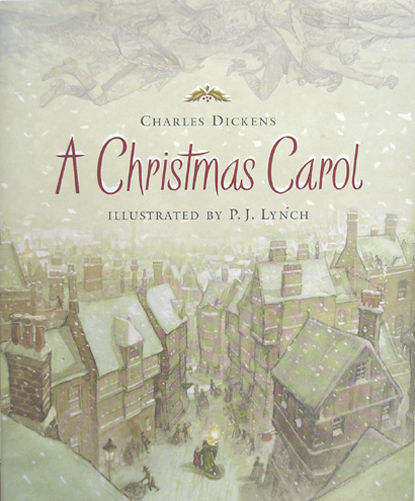 A Christmas Carol by Charles Dickens may be a prime example of a book that is a pleasure to read aloud, and one that appeals to many age levels. 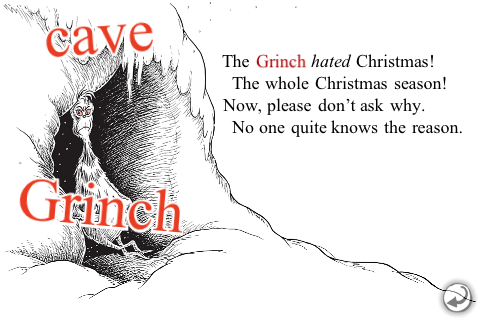 I hold nothing against the many movie versions of this classic tale, but I do want to point out that they all cut out great bites of the original book. Charles Dickens is a master of the English language and although that can be daunting to the average reader, most of his vocabulary words can be understood in context. As an example, Dickens describes Scrooge at the outset of the story as: “… a tight-fisted hand at the grindstone, Scrooge! a squeezing, wrenching, grasping, scraping, clutching, covetous, old sinner! Hard and sharp as flint, from which no steel had ever struck out generous fire…” (p. 10). I get this, don’t you? Scrooge is miserly, cold-hearted, and loveless. One Christmas vacation, I read A Christmas Carol in its entirety (88 pages unabridged) to my husband as he drove the long tedious I-70 highway from Denver, Colorado to his hometown near Kansas City, Kansas. My fourteen-year old has re-read the book twice during her Christmas break. She is hoping to read it a third time this year. As I mentioned in an earlier post, author Gladys Hunt encourages us to keep reading aloud even when our children can read independently: “What most parents do,… is stop sharing books as soon as a child can read alone. That makes reading a solitary happening, with no chance to talk about a book or discuss what it is saying. ” (Honey for a Teen’s Heart, Zondervan, Grand Rapids, MI, 2002). Steve Demme, an inspirational homeschool speaker and founder of Math-U-See curriculum read at night to his four sons by positioning a chair in the hallway within earshot of his boys’ rooms and reading from there. I vividly remember when I was called on during a babysitting job to read aloud to five children at bedtime. They lined up on the couch and listened attentively while I read them the next chapter of the third Narnia book. They knew where their mother had left off and they didn’t want to miss a night! We can teach our kids to read with expression by our own example. We benefit from listening to books also in the development of our imaginations. Books with “boring bits” describing places are just opportunities to make a “mental movie” of what is happening in the book. Doing the voices of the characters can be fun, especially when there is interesting dialogue between well-drawn characters. To mix it up, the family member who is the usual family narrator can take a break while others take a turn reading aloud. It’s important to switch genres of books to accommodate the tastes and ages of different family members. Vacations, trips, and sick days are all wonderful times to put in extra reading moments. Family closeness is precious and we value it even more at Christmastime. I am beating the same drum as I “requote” Jim Trelease, the author of the Read-Aloud Handbook: “Next to being hugged, reading aloud is probably the longest-lasting experience of childhood.” Read aloud and build closeness!